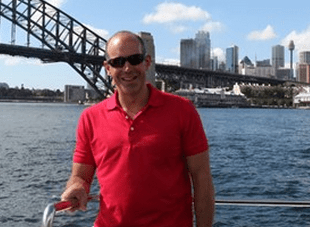 New real estate series Phil Spencer: Secret Agent Down Under begins next week on the LifeStyle channel featuring Secret Agent and Location, Location, Location host Phil Spencer, this time in Australia. It’s International Rescue as property prodigy Phil Spencer heads down under in a brand new series, helping Brits make the permanent move 10,553 miles across the globe – to Australia. In each episode, double agent Phil turns detective in the UK to sniff out what life is like now for his families, and what they want from their new life and dream home. Then he goes undercover down under to surprise his families-in-need, revealing that he’s been gathering intel to help find properties that will make this major move as smooth as his head. He whisks them off to find that perfect place; from flashy city centre apartments to dream country houses and homes by the beach. Throughout the show he spreads his buying and selling know-how as well as giving armchair dreamers at home a chance to dream about a new life in Oz, and maybe inspire them to give it a go! Mondays from October 14 at 8.30pm on LifeStyle. Yes, i’m amazed by that too, its similar to Location, Location , Location, all these Brits seem to have piles of money to buy the best home and it gives the impression that all Australians live like that. The reality is that we don’t, and perhaps they should venture out into the western suburbs of Sydney and show the Brits a more realistic way of life. Given the current status of both countries’ economies, and the exchange rate, anyone moving from the UK to Australia needs to have some serious cash behind them these days. Maybe Phil will only show these families tiny inner city apartments and houses in newly-built suburbs 90 minutes drive away from CBDs! Good luck with that one. All of my UK family think everyone lives on the beach or over looking Sydney Harbour. Hope these British expats have a cool spare few million dollars when the come over!